As a wedding photographer, I often work near the great lakes of northern Italy. Today I want to publish here for you a video I made in a reportage service for Julia and Daniele, who got married in 2017, who decided to give themselves and their guests a special location for their most important day : Como’s lake. 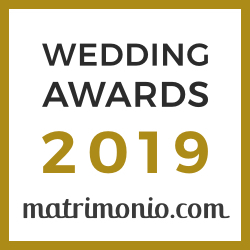 In the first part of the video you can see the highlights of the preparation and especially the ceremony, held in one of the most important and famous churches in Italy, that of the Certosa di Milano (also known as Certosa di Garegnano). It is a church dating back to the fourteenth century, so a place full of history and embellished with beautiful artistic decorations; all this helps to create a frame that lends itself to important and meaningful marriages. In the video we used the best equipment, the result of continuous technological updating. This allows us to achieve professional results by minimizing our presence on the scene. The use of the drone is certainly very effective, allowing the aerial shot during the launch of the rice by the guests. After the ceremony, the couple arrived at the location of the boat reception, surprisingly taking in all the guests. This is one of the strengths of Lake Como, which allows us to create original and very scenic situations, to spend a day full of special moments. Here the use of the drone, as can also be seen in the initial frame, allows for filming quality film. Who to choose for your wedding video on Lake Como? Surely the choice of the wedding photographer is an important step, because the photos and videos will be the most vivid and beautiful memory to look at and also with the dearest loved ones. For this reason it is not advisable to rely on improvised persons or non-professionals, however good they may be in many situations, but lacking the necessary experience for managing work on such an intense day as that of marriage. We at Fotoexpress are available to help you take this important step, putting at your disposal an experience of almost 30 years, the best technologies and especially our instrumentation that we have selected over the years to manage the transfers throughout Italy and not only . If you are interested, contact us! We will be happy to help you realize your dream!